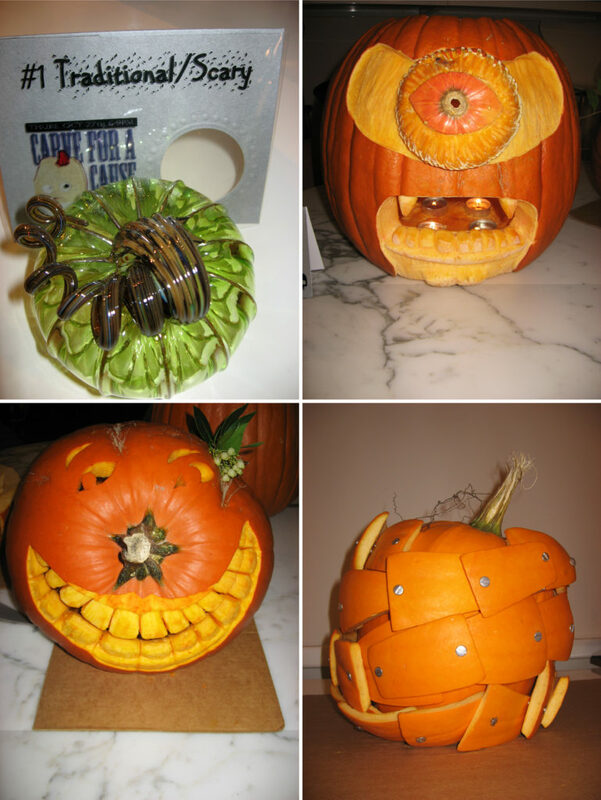 The RE Store enters – and wins – a pumpkin carving contest! Carve for a Cause is a pumpkin carving contest event and fundraiser put on by Architects Without Borders – Seattle (AWB-S), a nonprofit whose mission is to provide ecologically sensitive and culturally appropriate design assistance to communities in need. This annual affair held at Design Within Reach in downtown Seattle calls upon design, contractor and other related firms to put their best and most creative carvers together to compete for the titles of best Traditional/Scary, Artistic/Freestyle, Judge’s Choice, and People’s Choice. Seattle store staff, Mike Noon and Aaron Wendel, took the challenge to create an entry from The RE Store, creating The Sea of Shred. The Judges were a discerning group of serious Halloween lovers and graphic designers from The Seattle Times and The Seattle Opera. Some amazing designs were created, and the competition was stiff – but The RE Store won the honor of #1 Traditional/Scary! We also were one vote away from the People’s Choice award, but lost out to Cyclops on that one. Thanks to AWB-S for a great event – and to Mike and Aaron for their creative carving skills! Our glass pumpkin award and a few entries, including Cyclops (top, right).